France may be the world’s fifth-richest country and home to some of the globe’s wealthiest people, but some argue that France does no celebrate its affluent citizens. Many are saying that France under President-elect Francois Hollande may see an exodus of many wealthy small business owners to Toronto office space. This is mainly due to the fact that Hollande, a Socialist that has publicly stated that he does not like the rich, plans to put a 75 percent tax on income of more than 1 million euros ($1.29 million). His stance has successful entrepreneurs in France contemplating a move, and European rivals are welcoming them. Real estate agents in Brussels have claimed they have taken several calls from French citizens seeking to lease office space in the Belgian capital after Francois Hollande defeated President Nicolas Sarkozy on May 6. Similarly commercial real estate agents in London, New York and Toronto have taken calls from French citizens looking to move their base of operations in favour of a better tax situation. Many are saying that the relatively young French entrepreneurs who have an amount of assets, will be tempted to move to the England, USA or Canada in order to open an office space and continue to develop their business. Some of the older wealthy business people will most likely retire to Switzerland because there is no estate tax, and then to move to Belgium when they’re looking to sell assets with no taxes on their gains. Telsec currently has two clients that are Toronto branch offices for businesses whose head offices are located in France. One of them is a technology company that has indicated their head office is considering moving their entire operation to Canada. They have indicated that they would like to discuss using Telsec’s team office space as its base of operation, until they are able to find a permanent office situation. This will not be the first time a foreign corporation has taken office space at Telsec while they find and establish a presence in Canada. Their many reason for considering Telsec is that, while all their staff speak French and English, some of the Telsec’s staff are fluently bilingual in French, Italian, Portuguese and Spanish. In fact one of Telec’s staff is fluent in four languages (English, French, Portuguese and Spanish). 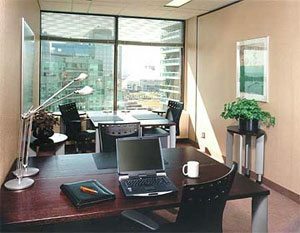 This is also why more companies feel at home with their office space Toronto at Telsec.